Dolly Parton and Alyvia Lind at MovieGuide gala in Los Angeles 5th February. 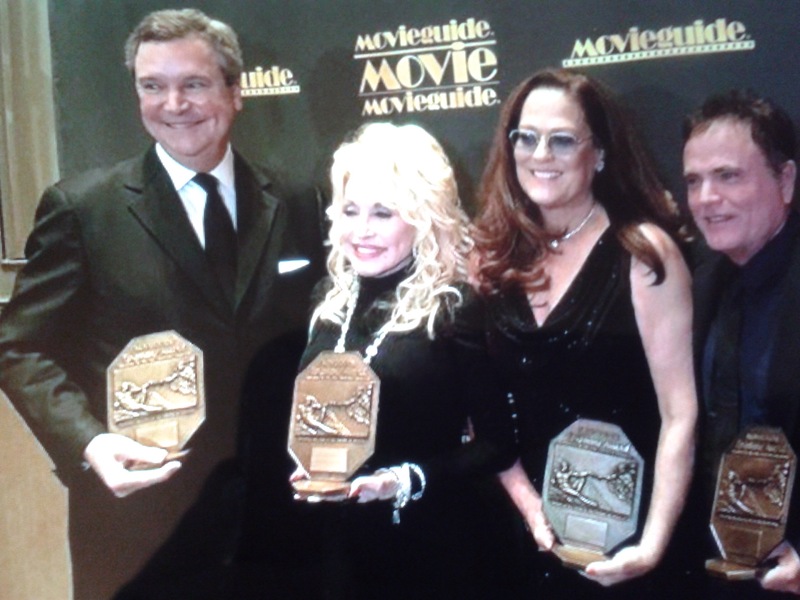 Dolly was one Of the the presenters and the NBC Movie Dolly’s Coat Of Many Colors was nominated in two categories. Congratulations Dolly Parton, Alyvia Lind and the Coat Of Many Colors Team to the prizes you’ve Won! Dolly Parton, Sam Haskell and the Coat Of Many Colors team won the Epiphany Award for best Faith Based Television Program. This entry was posted in News, Uncategorized and tagged 5th February, Alyvia Lind, Cheryl Riddle, coat of many colors, Danny Nozell, Dolly Parton, Kirt Webster, Los Angeles, MovieGuide Gala, NBC, steven summers by dollyfan. Bookmark the permalink. Loved the movie Coat of Many Colors, I can’t wait until her next one comes out. I am also checking out to see when it comes out on DVD. I would also like to let it be known that I personally know Dolly Parton hair dresser and friends Bob and Fred,Bob is a class mate of mine.